I love designing presentations but I do it for a living. If you need to create a presentation here is a great free resource: 24slides.com/templates. When I say free I mean freemium, more advanced services are available for a fee but all their presentation templates are free to download and use. They will make you sign up and get your info but this is worth the trade off as these presentation templates are quite good. Online services that offer free products or stuff are really making you their product. Your info is what they want and they could then sell your info, use it for their own marketing, or add you to their own mailing list. You can never be too sure, data is big business. Use the auto generated password feature on your device and your keychain to save the password to all your devices. Also generate a new password for each service you sign up for. Never ever sign up using your social media accounts i.e. Facebook, Twitter, LinkedIn, etc. This allows the service access to more of your personal info. To be super safe create a separate Gmail account to use when signing up for all free services like this. Freemium services like this are great resources for creative entrepreneurs but be savvy and safe when sharing your info, create on! Whether you are a professional Creative or just starting out competitions are a great way to gain exposure. Competitions are like mini-jobs, so invest time and effort into them and only enter those that will give you a good return on your investment. If the competition is associated with a magazine, festival, organization or company, that is a good sign. Search for past winners. 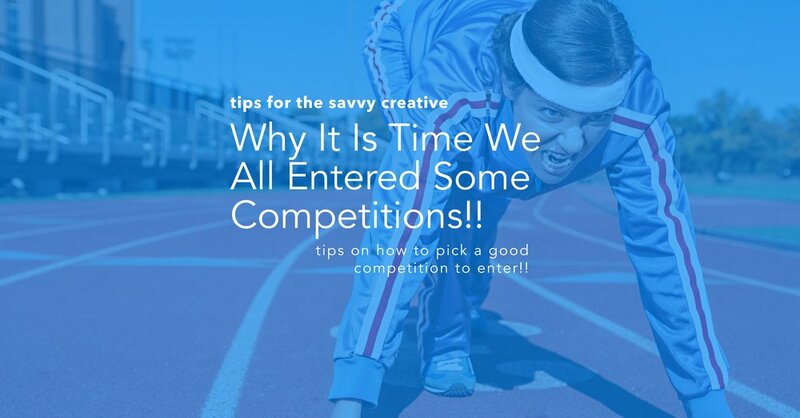 This will help you figure out if there is a pattern to what the competition is looking for. Look at the judges, their backgrounds, and their credentials. This will also give you a good insight into what the judges are looking for. See how long the competition has been around, the longer the better. Who are their sponsors, the bigger the names the more reputable the competition? What are the prizes or awards? Higher end prizes or awards indicates a more established competition. When submitting make sure to review the submission criteria carefully!! You don’t want to miss anything that would disqualify your submission. If you do win something make sure everyone hears about it promo it on social media, be proud!!. Also remember to add this accomplishment to your resume, CV, and your LinkedIn profile, create on!! The first question to ask yourself, why do you want to write an Adobe Certified Expert (ACE) exam? Will you power up and become an Adobe All-Star? Will people climb a mountain to listen to your sagely digital advice? Umm no. The exams are challenging and I like a challenge it helps you grow. It forced me to look at the software differently, which made me think of new ideas and business possibilities for the software and myself. It gave me a sense of satisfaction and a nice boost in confidence which we all need. Like it or not the certification is a stamp of approval and any edge you can get in this competitive business helps. When you push yourself and challenge what you know you will always come out ahead. It is the obstacles in life and how you navigate them that define who you are. So set a goal and achieve it, whether it is becoming an Adobe Certified Expert or running a 10km this year. The Exam Prep Guide. Make sure you know every point listed in this guide, decipher the sample questions. The way they ask the questions is tricky. This is the hardest part of the exam and this will challenge you to see other possibilities of the software. The Software Help Doc. Use this in tandem with the prep guide, I read the whole document. Yes, it is long and dry but very informative. Adobe Classroom in a Book. A common theory I heard online is the exams are written, or based heavily, on the material in these books. The books are good but what I found most useful were the exercises. Once again applying what you are learning. When you successfully complete your exam be proud and let people know, share it on social media. Also attach the Certified Expert badge to your email signature and website. Add your profile to the Adobe Certified Expert Finder, update your Accomplishments on your LinkedIn profile and add it to your CV. The pay off for completing the ACE Exam will mostly be a sense of accomplishment, but I am a firm believer that things like this work in subtle ways. The boost in confidence you get will be noticed because you will feel better about yourself and project more confidence. So challenge yourself often you are stronger than you know, create on!! We visual creatives have an aversion to writing. For those starting out writing about your work and your process is so important. It shows depth and online search algorithms still index text better than images. Instagram posts perform better with more written content using keywords that reflect your hashtags. Everyone has something to say and in today’s app rich world there is no excuse not to write. Services like Grammerly assist with spelling & grammar. To help you get to the point and be clearer though use the free Hemingway App. Tips aim for a Grade 9 reading level & practice, create on!! F*uck Social Media Image Sizing!! As creatives we like things done right, but when it comes to sharing on social media we want things done fast. Nothing is more of a social media buzz kill than trying to figure out sizing for your epic image post. Or worse having to scramble to delete an incorrectly sized post before anyone likes it. There is an app for your social media woes Hootsuite Enhance. It has all the images sizes preloaded!! The app is integrated into the Hootsuite app. If you don’t use Hootsuite it can post direct to social media or save to your photos. It also has text, shapes & image editing, create on!! Robots Are Here To Do Your Photo Editing!! I am a fan of Adobe Lightroom, it is a great program for stills and multimedia projects like stop motion. For savvy creatives Lightroom is a cheaper alternative to Photoshop. It has basic retouching, cloning & DAM. Some of Lightroom‘s more advanced features tethered capture and plugins. One of my fav plugins is Photolemur ($29 USD). It is an artificial intelligence automated image enhancement & correction tool. It works very well, great for quick fixes and batch edits. The edit can also be scaled back as it sits on a separate layer. I❤️🤖, create on!! Would I use it? Yes sometimes I too need a quick pic for a post like this one, Pexel stock is quite good and new content is added frequently. Disadvantage, other people might use the same image so don’t use it for an ad campaign, hire a photographer. And yes nothing beats custom images for your business but sometimes as a savvy creative, you need to compromise, create on!